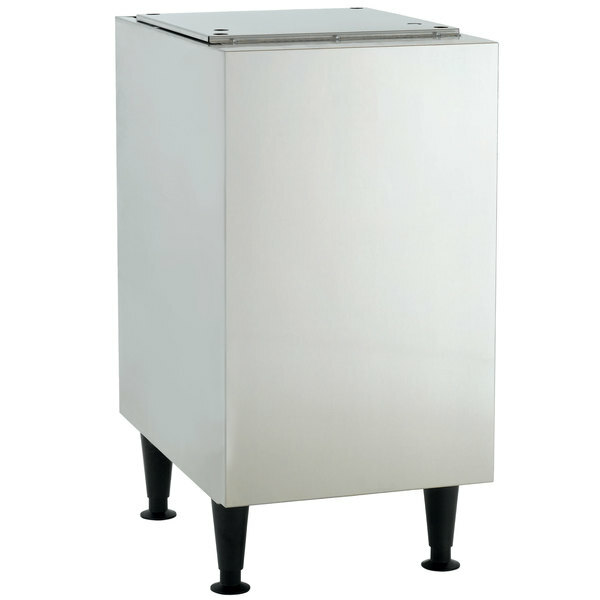 Ensure that your Meridian™ combination ice machine and water dispenser is easy to access without taking up too much counter space by adding this Scotsman HST16B-A enclosed stainless steel equipment stand. This stand is specially designed to provide a sturdy operating base for your ice machine and water dispenser while getting it off of the counter and out of your way. Made of durable stainless steel for easy cleaning and maintenance, this equipment stand features a back panel that allows easy access to run the necessary utilities for your dispenser. Since it comes with 6" adjustable legs, you can easily clean underneath and around this stand and adjust it to accommodate unevenness in the floor.